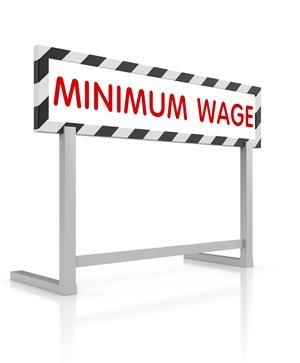 Cape Town - The introduction of a minimum wage in the South African economy will be the government's most destructive intervention, says a Fin24 user in an open letter to Deputy President Cyril Ramaphosa. The minimum wage is yet to be agreed upon but Ramaphosa, during a parliamentary questioning session last week, said that stakeholders were working “frantically” to reach an agreement. He was upbeat about the fact that South Africa has made good strides in the past 18 months, unlike Brazil “where it had taken 11 years to implement it". However Fin24 user and entrepreneur Wynand Meyering says the ANC is "making a massive, massive, massive mistake". The ANC is making a massive, massive, massive mistake with its minimum wage implementation, the party is currently far too involved in the labour market by intervening and trying to set and adjust wages. Wages rise naturally when there's economic growth in the entire economy and businesses compete for skilled, educated and experienced labour. Then firms offer better salaries to attract candidates, which happens the moment they need to expand their business operations due to a strong economy and the concomitant demand for their products and services. Just think for yourself: let's say our economy is growing at 1% per year, that means the average sales of businesses throughout the entire country is rising at 1% per year. Currently people are receiving salary increases of 6%, 7% a year - so-called inflation adjusted salary increases. Can you see currently how those massive increases in salary are being funded? By debt - by the average business and by government going into debt. Businesses are totally against this intervention. It is a mathematical certainty that millions of people are about to lose their jobs if you do it. Among the world's economists, the majority are clear about the devastating effects of minimum wages. The world's entrepreneurs are 100% clear that the resulting market distortions cause massive unemployment. In my view, the government and business need to come together and work out and define precisely what is economic growth, and what determines economic growth and job creation. There are certain factors that currently determine economic growth in a country and we need to define precisely and understand precisely what they are and we need to focus on developing those factors. Our current situation and the situation for most countries of the world is that our businesses need to establish a sales presence in the EU, US, China, India, Africa, i.e. globalisation, and earn billions of rand in overseas business operations. That is what has led to China and India's growth and what has given 250 million poor people in China jobs: global exports and globalisation. It is something positive. It is as positive as MTN's expansion into Africa where it has achieved massive success and sales. This is what US firms have been doing successfully and what Chinese, Taiwanese, South Korean, Malaysian, Indonesian firms have succeeded in doing. To achieve growth on par with China we need to grow our global exports and investment together. That is the greatest opportunity we currently have. Then we will be able to afford to pay excellent salaries, have excellent taxes and money flow and excellent technology in the country. Business and government need to formulate and discuss a plan which addresses: what precisely is economic growth, what determines it locally, what are the opportunities. Then look at local investment, regional investment and international investment development and how we should be doing it. If government wants to intervene in the market, it has to do so by improving worker productivity. Perhaps by offering starting workers better savings opportunities - government and private businesses and our banks can start up a specific savings account specifically for entry level employees that offers a high interest rate on a portion of their salaries that are saved in those accounts or offer better shares and better ownership opportunities in the business. Sasol's share holding scheme for entry level employees comes to mind, and better pension and retirement opportunities, better training opportunities, better education opportunities. Things that will really raise productivity in the business, not lower productivity as minimum wages do. At the extreme, perhaps business management, including CEOs might accept a freeze or a slowdown in the growth in top salaries. But that is a small market intervention on a few individuals. At the [moment] economic growth is already low, with businesses carrying high electricity costs, high municipal, property tax costs, high labour costs relative to the size and wealth in the economy, high crime costs, high security costs, high transport costs, low worker health, high import costs due to the rand of many products used in business - cars, trucks, machines, tools, computers are expensive because the rand is very weak and a host of other costs. Businesses aren't making money as is reflected by the low economic growth. The economy will fall even further as businesses have more costs to carry. They will delay hiring new staff until the they can afford the minimum wages. Businesses and government needs to come together and formulate far better economic, local, regional and international investment and development plans. The government should much rather intervene in terms of savings, shares and ownership of the business than in terms of artificial wage adjustments. The labour market is really important as 70% of business costs are labour costs. The idea of minimum wages are completely against economic development theory, business development theory, completely against reality. Government should focus on improving the factors that improve global competitiveness, look at the Global Economic Forum reports and find those factors that really determine economic growth and boost global exports. There's no other way to wealth but global exports to 6 billion people and by creating a highly productive, low cost country. * Join the debate by sending your views. Disclaimer: All articles and letters published on Fin24 have been independently written by members of the Fin24 community. The views of users published on Fin24 are therefore their own and do not necessarily represent those of Fin24.